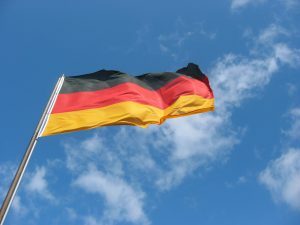 In response to criticism levied by Great Britain and Malta, the German government appears poised to loosen laws on online gambling. Reuters reports that the European Union is pressuring the country as well, which currently has some of the strictest laws in the continent. As it stands now, Germany has banned all online gambling except for betting on horse racing. However, the EU has been asking Germany to change its tune because there are many companies that feel the country’s reticence to allow more online gambling. The European Commission added that any new German law must take a year-old ruling by the European Court of Justice into account, which lowers the chances of the country closing its market. "In our view, this helps decrease the likelihood of a full closure of the German market," USB analyst Simon Whittington told the news source. "We believe operators will continue to trade in Germany if there is any legal uncertainty and [the Commission’s] announcement is clearly supportive for operators’ arguments." The fate of the German gambling law could have a large impact on the rest of the region, where online gambling revenue is expected to be twice the level it was in 2013 as it was in 2008.